Shock advertising is a tactic of choice for some organizations despite its disputed efficacy and dubious ethicality. 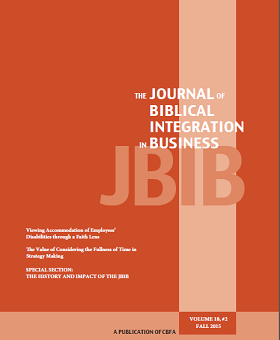 Through a focused biblical analysis, this paper identifies numerous examples of divinely-initiated shocking communication, which in light of Imago Dei might lead people to believe that they also have considerable liberty to use shock. Closer examination of biblical cases, however, suggests that organizations should only create shocking ads for very compelling reasons.